This resort offers accommodation and excellent room facilities and amenities in this refreshing and relaxing part of the province. Most of the resort’s facilities and activities are geared towards providing you fun, relaxing as well as the entertaining environment. One of the most popular activities it offers is the Whale Shark Watching. 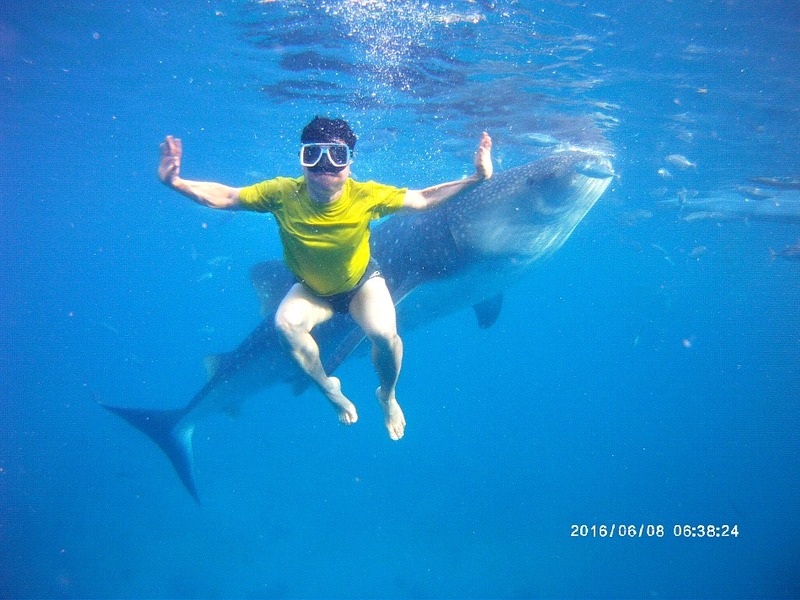 Oslob is the most famous place to find and swim with the gentle giant fish—whale sharks. Among other fun water activities, you have chances to travel the town area’s historic sites, swim its charming beaches, snorkel and tour the neighboring islands. Aaron Beach Resort offers this activity that should not be missed by any visitor in this area. It is just amazing just even to see these huge fishes, but even more breathtaking when you swim or see them underwater! You can arrange with the management of this resort to have this experience. As a short background regarding whale sharks, these giant fishes belong to filter feeding shark-looking fish. It is not a shark but a fish because it is not a mammal—it delivers eggs not baby fishes. Whale sharks could reach more than 40 feet and could weigh up to 20 tonnes. This fish is by far the largest extant non-mammalian vertebrate on the face of the earth. Moreover, they have a lifespan of 70 years or more. Whale sharks only feed on planktons, krills (cute shrimps), and other much smaller creatures. That is why humans and other bigger creatures are never in danger when in close contact, but the opposite could be so. In some areas, whale sharks are being poached for its fins! Aside from watching whale sharks, Aaron Resort also offers lessons on scuba diving for all guests with various levels including newbies. It has its own dive shop with complete diving facilities. The dive shop has expert dive teachers and trainers who would guide and teach you all you need to learn and know about diving skills with safety measures. Oslob's sea is one of the best places where you can find hot diving spots to observe grotesque underwater creatures and corals. Sumilon Island, another excellent resort area, is just about 10 minutes from the resort itself. This island is famous for its very secluded atmosphere and its white sand and turquoise waters. The island itself has one popular resort available. Caceres Reef is another dive spot that Aaron offers for dive activities. It is about 25 minutes from the resort by an outrigger boat. 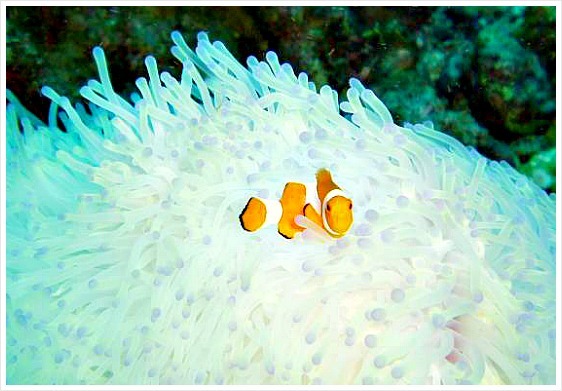 Being a reef, you can see various sorts of colorful fishes, shrimps, crabs, corals and other tropical underwater creatures. 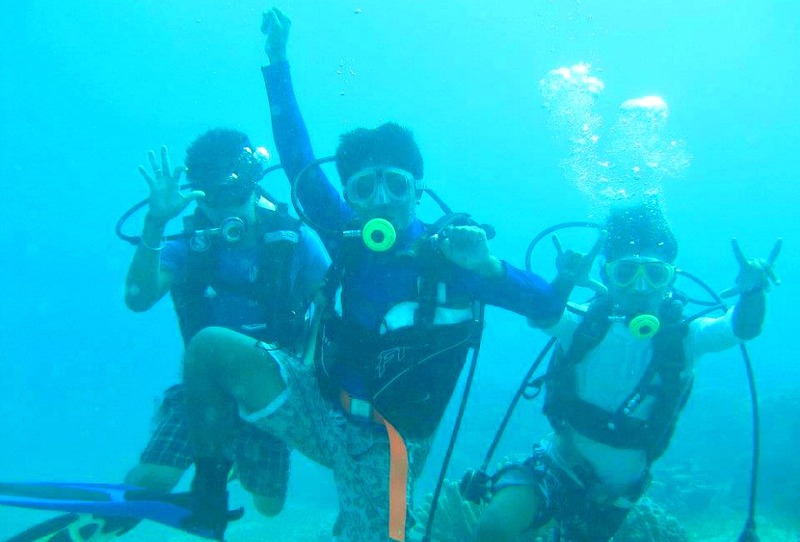 Indeed, if you request for other dive sites or anything fun dives, you would be surely provided with the satisfying response. Oslob whaleshark swimming. The officials only allow visitors in the morning and close in the afternoon. Ambakon (to ‘jump’ in the English language) is the name given to this beautiful waterfalls. It only takes around fifteen minutes by private car or motorcycle to get to this site including a walk in nature along the river. Chilling out and swimming in the water basin of the waterfall is allowed. Yes, this is a popular place among short time travelers. Ambakon Falls is also suitable for families and children alike. Caceres Talamban Cave tour is also being offered by Aaron Resort. The cave is located in Barangay Balagasan of Boac Municipality in the province of Marinduque. This is suitable for hikers who love fantastic panoramas and mountain views. The façade of the entrance of the cave is somewhat like a church. It was believed that the Talamban Cave used to be a hiding place among locals and even Spanish soldiers. Some say that antiques and artifacts, such as figurines, chinaware, and other materials were found inside the cave. Mainit Hot Springs and Pools is a great place to be if you want to get unwind and drained off your weary mind and body. You can dip into a natural hot spring and stay there as long as you want and feel rejuvenated. Of course, you can have a small picnic with family or friends in the area. Oslob Mountain Tour. Aaron Beach Resort offers this tour service for those who can ride a single motorbike only. You will be enjoying scenic views of the verdant and living mountains of Oslob Municipality. The tour will be an exciting 2 and ½ time travel on a motorcycle. Oslob Town’s historic old church (Immaculate Conception Church), Spanish Tower Ruins, Freedom Park, etc. While staying at this resort, you can enjoy availing some facilities and amenities to help you enjoy better your break or vacation. You may order special dishes from its chefs who specialize in Filipino dishes and other menus you prefer. Aaron Beach Resort also offers pick-up and drop off services when requested ahead of time. You could be provided such services especially if you came from Cebu City or Cebu-Mactan International Airport (Terminal 1 and Terminal 2). Aaron can also provide you this service if you came or return to Dumaguete Airport, a neighboring city close to this province. Of course, the resort can provide you such service to and from any point in the province, if that makes your travel more comfortable and hassle-free. Aaron Resort offers four types of rooms. The rate and size of a room depending on your preferences of facilities and amenities. 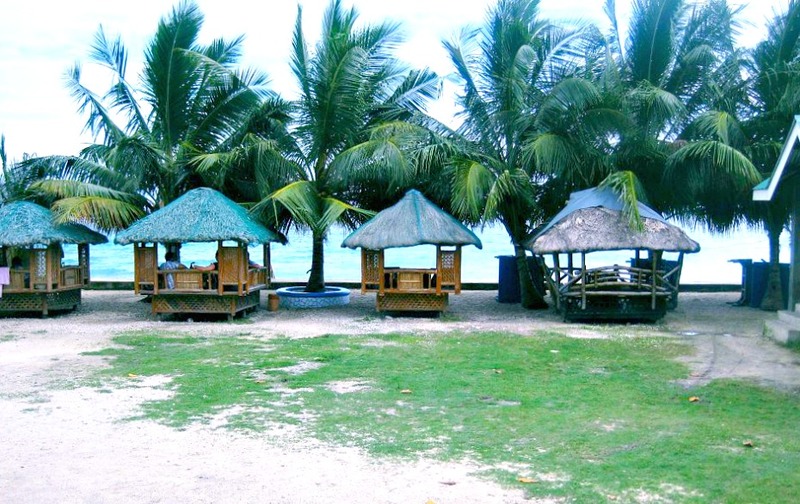 There are eight (8) of these cottages located along the beachfront. They are equipped with electric power connections and have a shared bathroom. Yes, if you come to camp outside and by the beach area, Aaron is prepared for that. The resort has four (4) tent sites that have a connection to electric power, while another four tent sites have no connection to electric power. Depending on the accommodation, you can have private bathrooms and hot showers, shared bathrooms, etc. Please, make your choice by contacting the management for the details. Now, if you want to learn more about this resort, you may make use of the following contact details for photos, rates, facilities, among others. Please, let us know should the information is changed or not correct. We would be very happy and grateful. Thanks. To get to Oslob Municipality where you can find Aaron Resort from Cebu City, you can head to Cebu South Bus Terminal and take the one that travels on this route. For more details on finding the bus terminal, please check out this link. V-Hire (Van) is another public vehicle you can take to get to Oslob more quickly. Vans run faster and make only a few stops. Therefore, it saves time travel. Just fasten your seat-belt (if there’s any!). You can also hire a taxi cab or rent a car in Cebu – it can be costly but worth your time and investment. Of course, it is more comfortable and also possible to drive to the area using your private vehicle. Salamat for visiting and reading to the end this page. Hope this page or website helps you find something helpful. Until your next visit to this site, enjoy your holidays and travels!